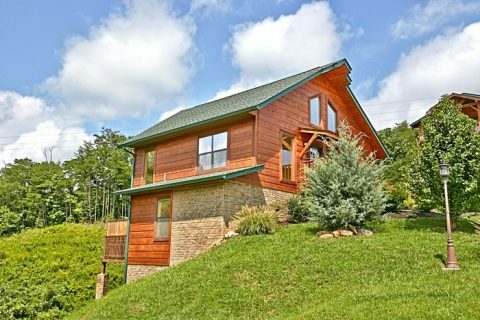 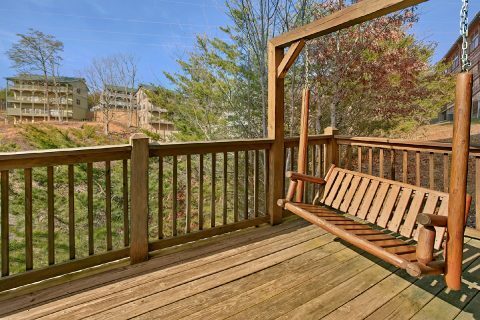 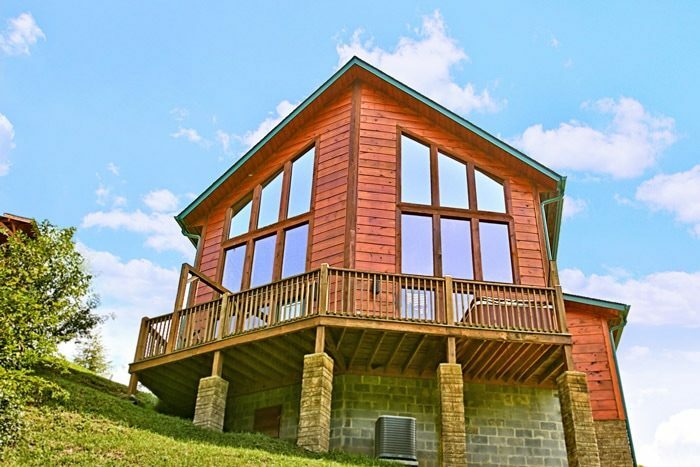 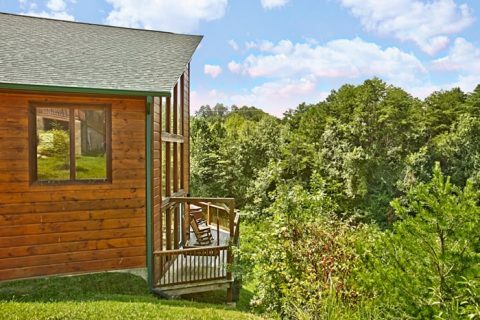 "Rest Assured" cabin rental offers golfers looking to tee off at the Gatlinburg Golf course a prime location near the golf course. 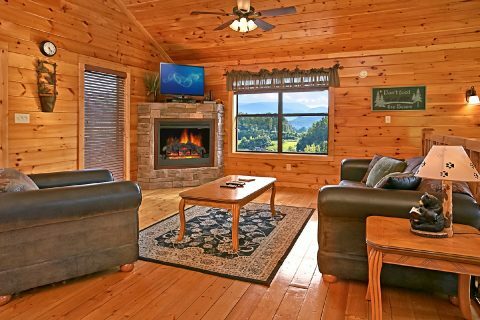 Golfer or not, everyone is sure to enjoy gazing out onto the peaceful views of the golf course and surrounding mountains. 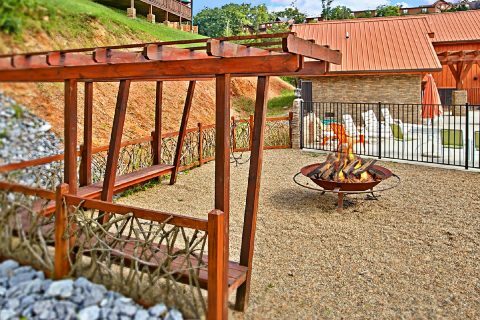 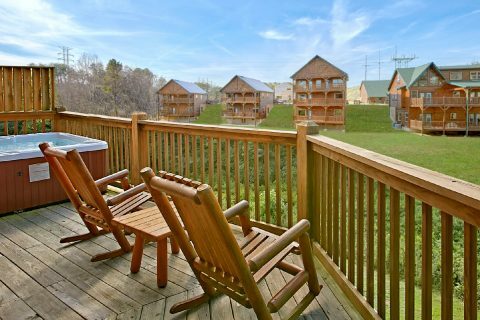 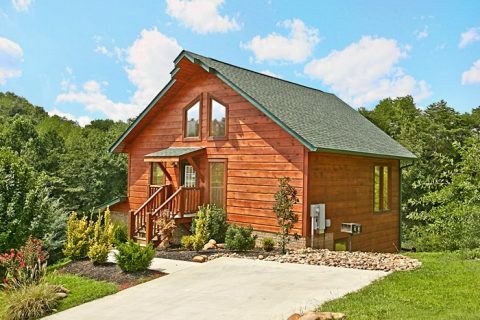 Your pet friendly cabin in Bear Cove Falls golf view resort makes it easy for the entire family to have fun at nearby Pigeon Forge attractions, while occasionally checking in on your pet with ease. 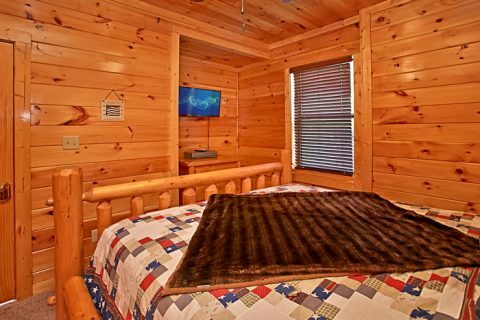 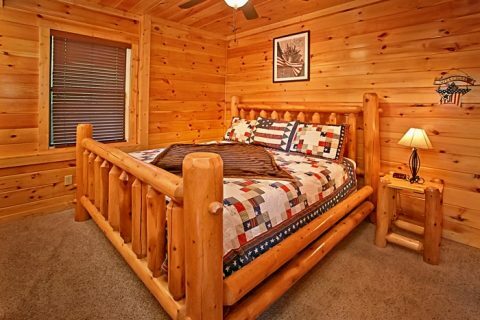 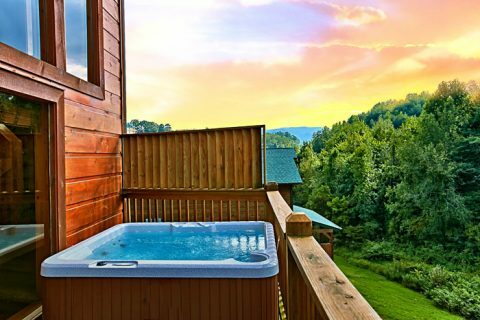 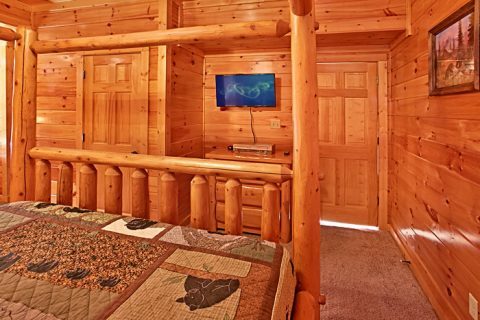 Your pet friendly cabin in Pigeon Forge offers year-round indoor swimming pool access and sleeps up to 6 guests, ideal for small families or couples looking to spend a lot of time touring Pigeon Forge and nearby Gatlinburg. 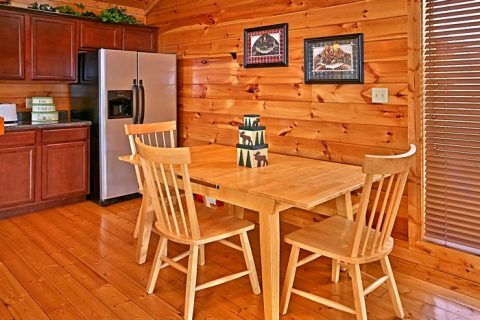 Elegant décor and large panoramic windows create a warm, inviting atmosphere in your cabin. 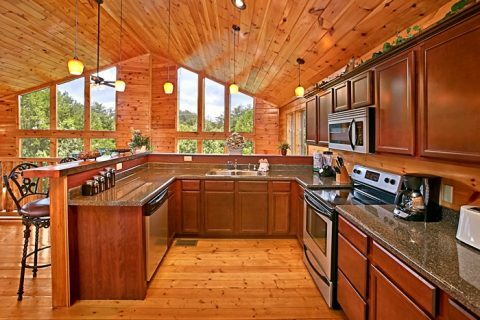 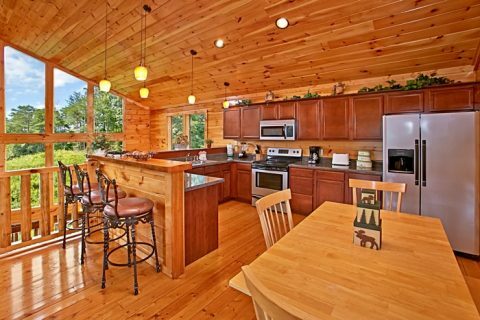 Enjoy country breakfasts made in your spacious kitchen with ample counter space. 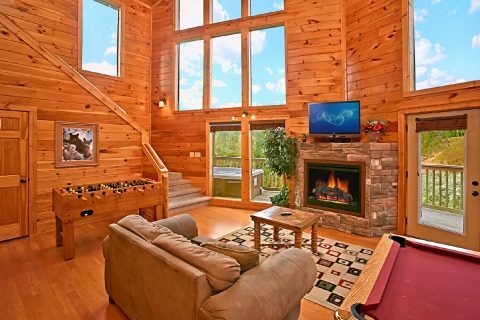 Cozy up next to one of two electric fireplaces on those chilly winter nights. 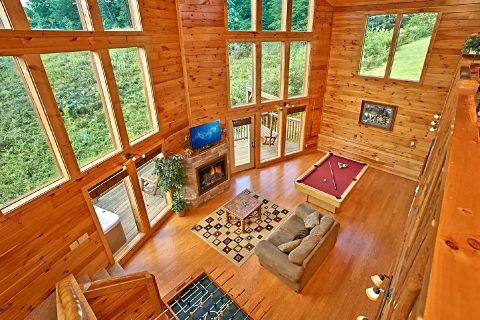 Downstairs, enjoy some friendly competition on the pool table or watch the big game in the game room's additional sitting area. 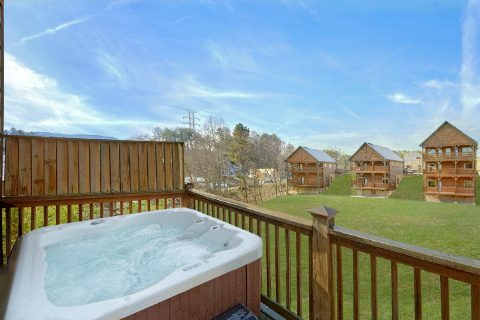 Outside, enjoy unwinding in the warm waters of your year-round hot tub or host a cookout on your Bear Cove Falls cabin's charcoal grill. 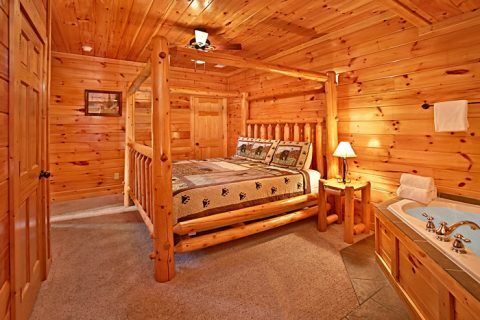 When it's time to hit the hay, two king bedrooms offer a great place to enjoy a restful night's sleep before another day's adventure. 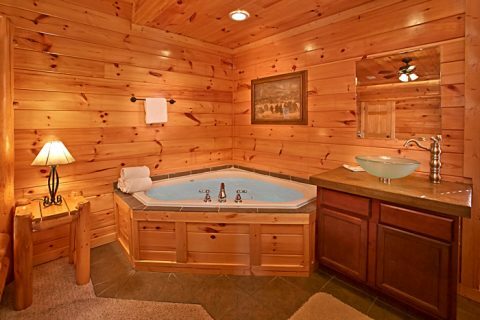 The master suite even boasts an in-room jacuzzi for extra relaxation. 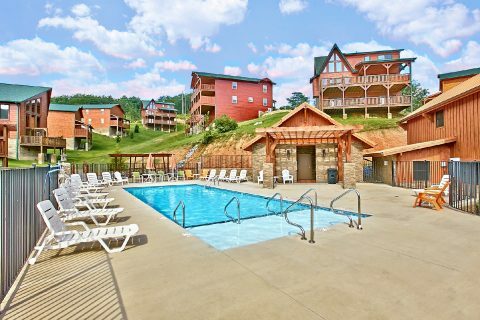 Travel less and play more when you stay at Bear Cove Falls golf view resort. 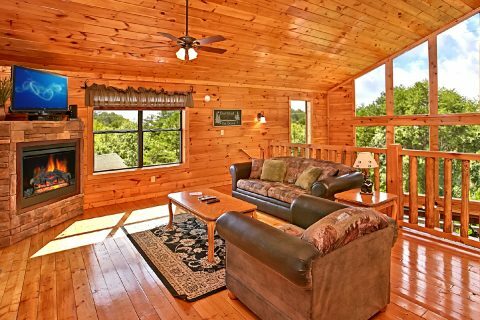 Remember, when you book your pet friendly cabin in Pigeon Forge online with Cabins USA, you receive an immediate Online Cabin Special!